Snapchat is one of the most popular social networks among teenagers and young adults and it’s been trying to engage its user base with original shows within the app for a while. Now the platform continues those efforts by releasing three shows part of the new Snap Originals series. The three new shows are just the first wave that's coming to Snapchat with more to follow in the upcoming months. 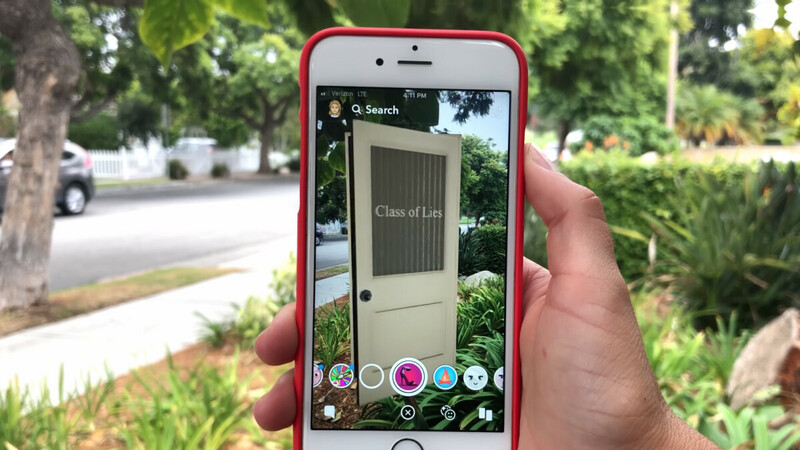 Unsurprisingly, the shows are thematically close to Snapchat's users: "Class of Lies" follows a couple of college students and roommates that are hosting a true-crime podcast, while also trying to solve the disappearance of their best friend. "Co-Ed" shows a more light-hearted version of college life that a group of freshmen are experiencing. The third one is a bit different, called a "docuseries", "Endless Summer" gives us a glimpse of the lives of Summer McKeen and Dylan Jordan, a couple of popular YouTubers. The shows will be released daily in a bite-sized format of 5 minutes per episode. You can find them on the Discover page, where there'll be a section for each show. According to Snapchat, the individual episodes will be structured as regular shows and won't feel as if one episode was cut into pieces. The short run time could resonate with the short attention span of today's youth, accustomed to the instant gratification that technology brings us today. To make the shows more engaging, the producers are adding Augmented Reality elements to the series using "Show portals". Through those "portals", viewers will be able to enter certain scenes and look around using their phones. AR is still more of a novelty, but it will be interesting to see that specific implementation. Of course, the shows are also coming with new Snapchat Filters, Lenses and other themed features. Executives are hoping that this format will keep users coming back regularly and hopefully even bring some new people to the platform. Snapchat has been experiencing a drop in users recently and has had trouble being profitable. The three series are available right now, with three more coming by the end of this month. If you're curious to see how good they are, go on Snapchat and check them out!